Last edited by Litcube on Fri, 26. Jan 18, 14:30, edited 13 times in total. I've read through the wiki page and it's fantastic! Since your goal is to make the game livelier (OCV and Phanon), is Shush's LIFE script compatible with the mod? It sounds like a perfect addition to it. 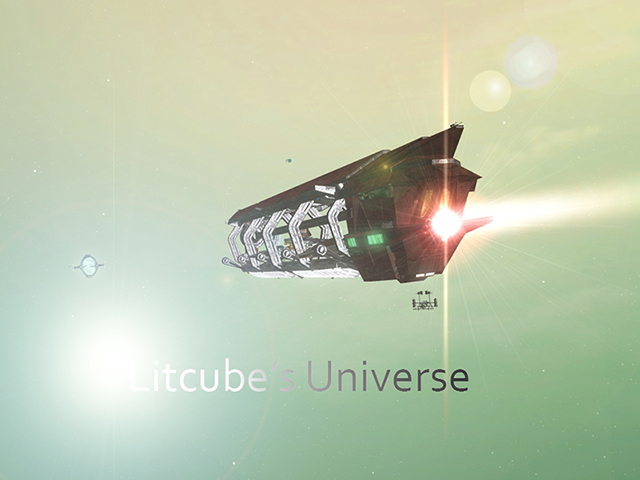 Looks great Litcube. Willing to give any hints about when the public download will be available? I am looking forward to seeing your vision of a complete Universe with an actual end game. Entusiasta da série X3! The best game. Boringnick wrote: I've read through the wiki page and it's fantastic! I've never installed that package before, so I wouldn't know. That would be my default answer to any questions regarding compatibility. The other play testers (Bullwinkle, Sinnerman, etc.) might be able to tell you more. Here's the thing: LU is very different from the vanilla system. The scripts and mods made in this forum assume that they're being installed on a vanilla system. zanzal wrote: Looks great Litcube. Willing to give any hints about when the public download will be available? I am looking forward to seeing your vision of a complete Universe with an actual end game. It's coming within the month. Probably closer to three weeks. Last edited by Litcube on Mon, 28. Apr 14, 10:10, edited 1 time in total. ah yes - looks like I checked back in with the x universe at the right time! Good time to check back. looks interesting. waiting for rls. The wiki sure has got me excited. Last edited by Litcube on Mon, 28. Apr 14, 10:11, edited 1 time in total. Reading the wiki pages, it looks like the biggest update to X3 ever, bigger than Terran Conflict and Albion Prelude together. And better than Rebirth by far. This may sound far-fetched, but have you thought about contacting Egosoft? I can totally see that your mod may serve as the base for another X3 title. Rebirth trashed their reputation, and no one of use wants to see Egosoft go away - bringing out another official X3 expansion could bring some trust back and fill up their bank account a little bit. Boringnick wrote: Reading the wiki pages, it looks like the biggest update to X3 ever, bigger than Terran Conflict and Albion Prelude together. Well to be honest, it's not like our (read some of us) trust in EGOSOFT has been damaged for no reason. They should have known better from the start to not make X-R, but what's done is done. I personally think EGOSOFT needs to support themselves by making and selling good software, and not rely on the hardwork of their fanbase to do their jobs for them, and as a matter of fact, better than the actual devs. I mean come on, there's a HUGE problem if a game company needs to rely on it's fanbase to make the game good, and an even bigger problem if they need to rely on their fanbase to make the game functional at all. If all the pro modders in this community were to make their own space game and were given the budget and time (7 years full time paid labor) that EGOSOFT had I would bet money that it would blow X-R out of the water. Too bad they can't just open their own studio. "I don't believe in GoD, but GoD sure believes in blowing up my factories." Dark_Ansem wrote: Seeing your creation in-game and working makes one feel all warm and fuzzy inside.